A Promise is a Promise - monemades Webseite! 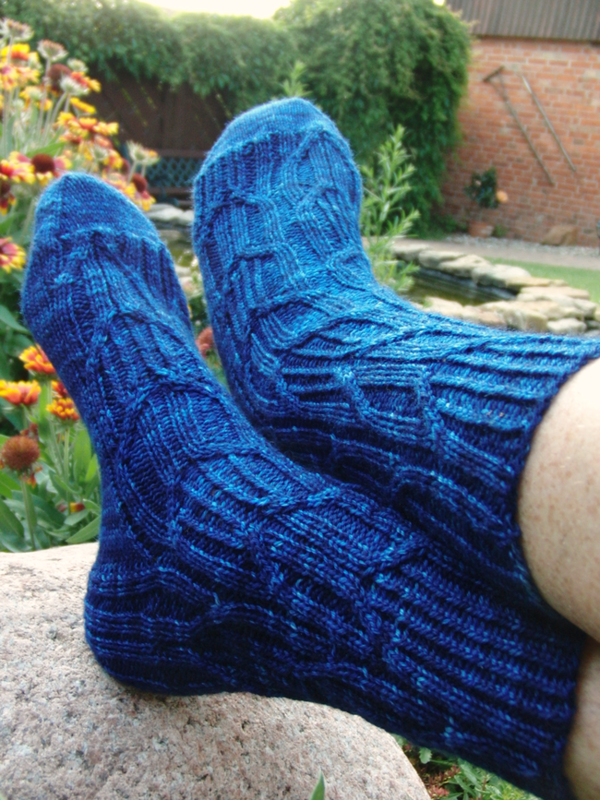 Well, it seems that all I've worked on other than my samples for new patterns have been socks lately. Today I finished a pair of socks for a friend on the Canary Islands. I promised to knit him some when we met in April and even though I don't know when we'll go back, I've already knit them. A promise is a promise, right? Now only to make sure that they don't end up in someone else's sock drawer before we meet again. The pattern is called 'Dawlish' by Rachel Cloopey and used wonderful yarn from New Zealand by Vintage Purls.